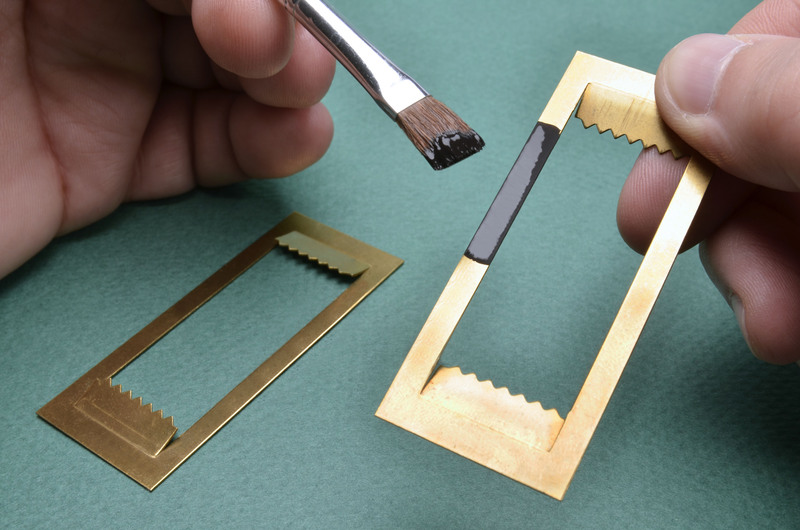 Featuring a nickel filler, Master Bond EP21TDCN-LO is an electrically conductive two component adhesive/sealant that is particularly effective for grounding, shielding and static dissipation applications. It is a toughened system and is capable of withstanding rigorous thermal cycling, mechanical vibration and shock. This system passes ASTM E595 tests for NASA low outgassing, making it well suited for the aerospace, electronic and specialty OEM industries including use in vacuum and clean room environments. EP21TDCN-LO has a low volume resistivity of 5-10 ohm-cm and a thermal conductivity of 11 BTU•in/ft²•hr•°F [1.59 W/(m·K)]. EP21TDCN-LO is dimensionally stable and bonds well to similar and dissimilar substrates such as metals, composites, ceramics and many plastics. This epoxy feature a high strength profile including a tensile lap shear, tensile and T-peel strength of 1,400-1,600 psi, 3,000-4,000 psi and 15-20 pli, respectively. It resists exposure to a variety of chemicals such as fuels, oils, organic solvents and water. With a one to one mix ratio by weight or volume, EP21TDCN-LO is easy to handle with a smooth paste consistency. As a two part system, it can cure at room temperature or more rapidly at elevated temperatures. The optimum cure is overnight at room temperature, followed by 2-3 hours at 150-200°F. It is serviceable from -100°F to +275°F [-73°C to +135°C]. EP21TDCN-LO is available for use in ½ pint, pint, quart, gallon and 5 gallon container kits. It has a shelf life of 6 months at ambient temperatures in its original, unopened containers.